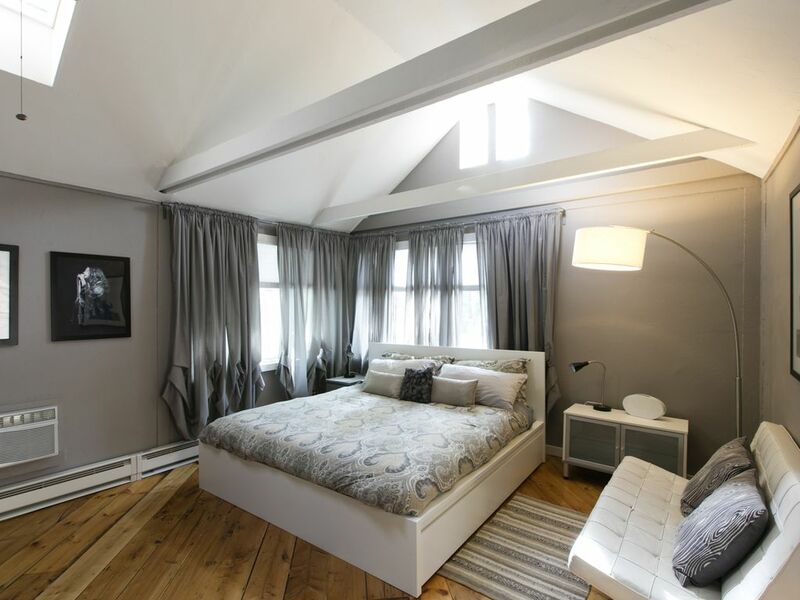 This is a phenomenal 3BR place to stay in Woodstock! A fabulous 3BR, 2Bath Suite to stay in Woodstock! Centrally located in the village, yet private, and steps to everything. BEST LOCATION TO ENJOY WALKING, HIKING, SWIMMING, MUSIC, GALLERIES, THEATER, GOLF, RESTAURANTS, BARS, BICYCLING AND SO MUCH MORE. 3 BEDROOMS, 2 Baths. One King, One Queen, One Full. 2 Full bathrooms, Stainless Steel kitchen. 2 Flat screen TV's. A/C, Fireplace. WiFi, Sleeps 6. Fabulous garden with FIREPIT AND BBQ. ......Lounge, read or have a glass of wine after a day of skiing, hiking, snowshoeing. Don't forget to bring your hiking boots and hike one of the numerous trails around the area or hike up Overlook Mountain, Wittenberg Mountain and Slide Mountain. Lots to see and do in Woodstock and its surrounding areas. Tibetan Monastery, Winemaking vineyard tours, Hudson Valley Cruises, Zagat rated restaurants. Visit the world-renowned largest traditional Tibetan Monastery in the US built into the mountainside - Not be missed the Kaaterskill & Bastion Waterfalls. Woodstock Film Festival - Woodstock Center for Photography - Take a bike ride along the winding creeks and back roads, or explore the colorful local farmers and flea market in the center of town - Enjoy the beautiful nearby waterfalls and SHORT WALK to swimming hole right in town. Belleayre, Hunter and Windham, 40 min. Woodstock Golf Club, 5 min. We can arrange for you to be a member for a day or weekend! In town, brand newly restored two family home with private entrance and off street parking. Actually due to a family emergency I could not go, but my wife and kids went and had nothing bad to say. We rented sled 1 & 2 and both were beautiful. We have rented from Judy several times, and we love this unit and her. It's a calm and very comfortable space - very well decorated and supplied (everything you could possible need is included). The lower unit is a large three bedroom with plenty of room for cooking, entertaining, and relaxing, and is has a wonderful yard with grill. Very convenient to town - main drag is literally just around the corner, and plenty of opportunities to explore the surrounding areas. We will rent this unit again. Three families and three generations gathered for four nights and this spot was perfect. The apartments are tastefully decorated with some great Woodstock-inspired pieces. It felt clean and newly furnished. The two apartments offered plenty of space for the 9 of us. We loved the picnic table and fire pit! The proximity to town was a big plus for us. We did sometimes hear the sounds of the town, but it was helpful to walk into town to eat and shop at the farmers market and the shops in town. The beds and sheets were quite comfortable and we all felt very much at home. Judy was a very gracious host. When there were no wash cloths in the bathrooms, she swung by with a big pile. When I left my son's passport, my checkbook, and other important items, she was quick to mail them all back to me in Colorado. We would stay here again and will happily recommend it to others. Stylish spot in funky Woodstock. The Villa in Woodstock is handsomely decorated and well appointed. Very comfortable in every way....beds, chairs, dining options. Wonderful indoor and outdoor spaces for conversation. Easy parking in a town where parking is an issue. Close to stores. We used both apartments for 9 people and the flow was easy. The town is loud and that is not a problem in this charming oasis. You have to see my review for the same house -- but the downstairs part of the house called the Hideaway with Hot Tub -- we rented the whole house. It was great. The comfort was in the details -- the towels and bedding, the warmth, showers, the cleanliness. Couldn't be in a BETTER location. Right in town but amazingly quiet. It fit the needs and tastes of a family -- teenagers and even the 82-year-old mother-in-law. Highly recommend. It is obvious that the owner, Judy, cares about what she does. Thanks Judy! We had a great time staying at The Penthouse! We were lucky enough to get a last minute reservation with Judy, who was great. The space was perfectly scaled for us and such a perfectlocation... we will definitely be back. Thank you Judy! Best location in Woodstock. In the village, yet off the beaten track. You can walk to everything, the best restaurants, shops, galleries, music venues. Walk to beautiful hiking trails and swimming holes. One block to Trailways Bus but we also have off street parking. Bus to skiing as well. skiing, snowboarding and cross country. Suite #1 $399 per night + $100 cleaning (Sleeps 6) Suite #2 $299 per night + $100 cleaning (Sleeps 4) Three night minimum on holiday weekends.